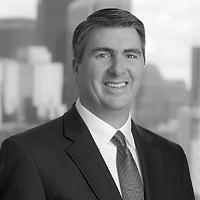 John G. Loughnane, a partner in the firm’s Workout, Restructuring and Bankruptcy practice group, will serve as a moderator at the American Bankruptcy Institute’s 22nd Annual Northeast Bankruptcy Conference and 10th Annual Northeast Consumer Forum on July 10. John will moderate the “Technology’s Impact on the Everyday Practice of Law” panel. The session will cover best practices to minimize risks to clients and minimize malpractice risks to lawyers. Topics include preservation or loss of the attorney/client privilege, the disclosure of confidential information or data protected by privacy laws, the use of multiple email accounts, forwarded and “reply all” emails, the use or prohibition of the use of social media, the encryption of documents, the scrubbing of metadata from documents, and e-discovery. Nutter is also a sponsor.